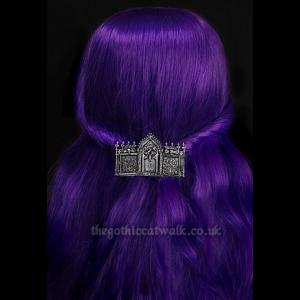 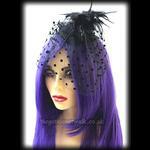 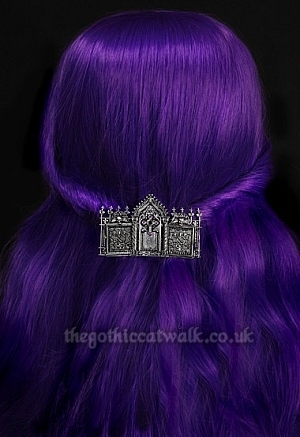 A stunning gothic hairclip featuring three tombstones side by side. 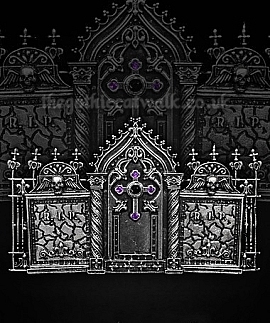 The outer two tombstone have a realistic crackled appearance with the inscription R.I.P. 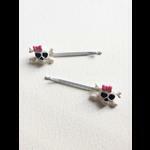 and a tiny winged skull sitting at the top. 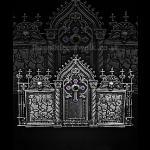 The central tomb is more ornate with highly detailed carvings and a cross at the centre decorated with tiny purple gems.